It’s been damn cold up here in the Great White North lately and my propane heater has definitely come in handy. As I write this now, we are getting a nice dumping of freezing rain which should make for an interesting drive home. I’m sure Tony’s is on his way to a nice warm afternoon in Texas. Yes, that is jealousy you are detecting! 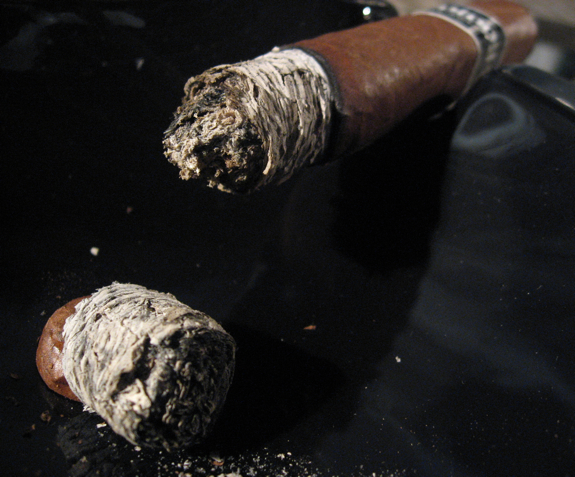 lol Despite these crazy temperatures I still manage to sneak out once in while to enjoy a nice cigar. It’s not as often as I’d like but it makes each time more enjoyable! I was looking for something a little different for todays cigar and here’s what I picked up out of my humi. 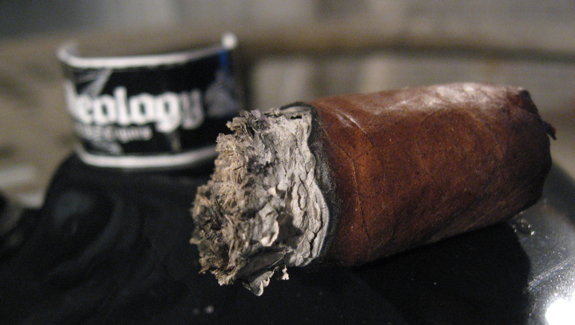 Not long ago, I tried my first cigar from 262 Cigars Inc. called the Paradigm. You can check out that review here and see that I really enjoyed it’s unique and Cuban-like flavors. At that time they had just made an announcement that a new line was in the works called the Ideology. I was lucky enough to receive a few samples of this cigar from the very generous Mike Justice of 262 Cigars, check him out on twitter here. 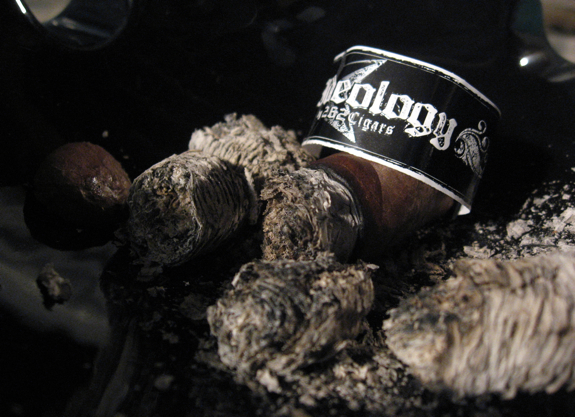 The Ideology was intended to diversify the line of 262 Cigars by bringing a smooth, mile and creamy profile. 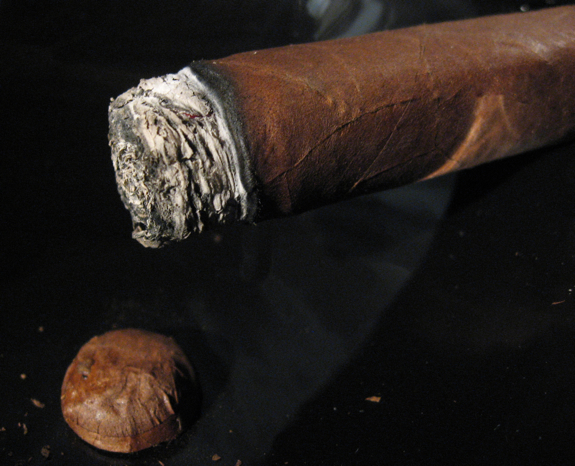 The cigar is wrapped with a Rosado leaf which I find to be a great alternative to the Connecticut when seeking a mild cigar for anytime of the day. As I mentioned in my last review, the 262 Cigar company is made up of a small group of passionate cigar smokers who have embraced the online and B&M cigar communities to promote their product. By leveraging these communities they’ve been able to establish themselves as a good name in the cigar world. The blend of leaves in this tobacco all come from some of my favorite tobacco leave regions including Nicaragua, Mexico and Dominican Republic. Each of these leaves offers a unique and tasty profile and I’m excited to see how they blend together. It’s nice to see a cigar aimed at the mild market when it seems a lot of new cigars are being aimed at strong, full bodied smokers. This was a nice mild and enjoyable smoking experience. The flavors were never overpowering and it smoked smooth and easy the whole way through. It also had a great burn and nice amount of smoke from start to finish. This cigar would be a good addition to a selection of early day smokes or when you just want something smooth and mild to relax with. It’s nothing overly complex but still a relaxing and enjoyable cigar. 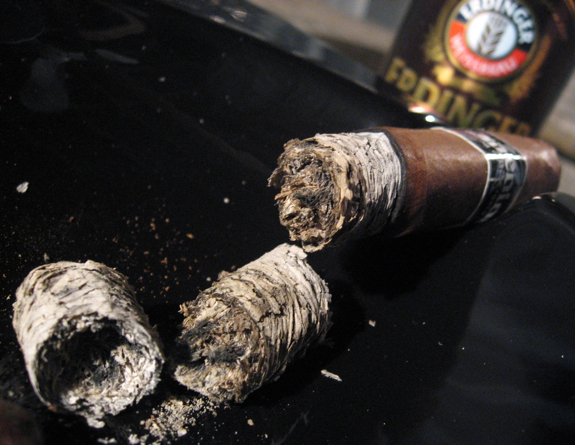 It would also make a great option for beginner cigar enthusiasts looking for something that won’t knock their socks off. 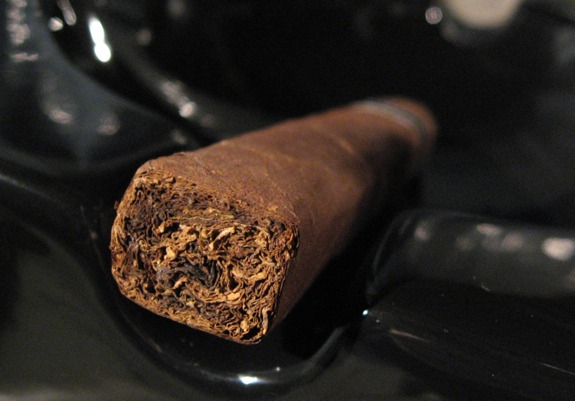 It also sets itself apart from a lot of other mild cigars which tend to be Connecticut wrappers. 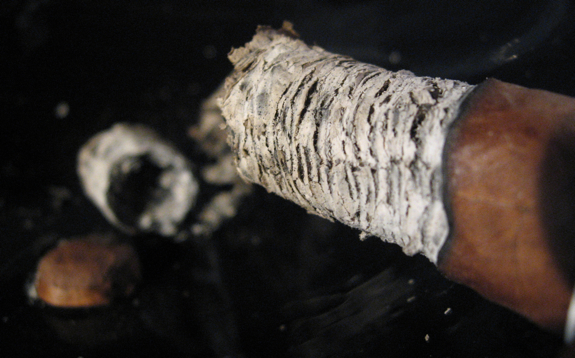 The Rosado wrapper gives it a different flavor while still keeping it creamy and mild. Anyone looking for a change in their early morning smoke should give these a try. Their price comes in a bit high to be an easy every-day smoke but still fair enough to be part of a weekly rotation. 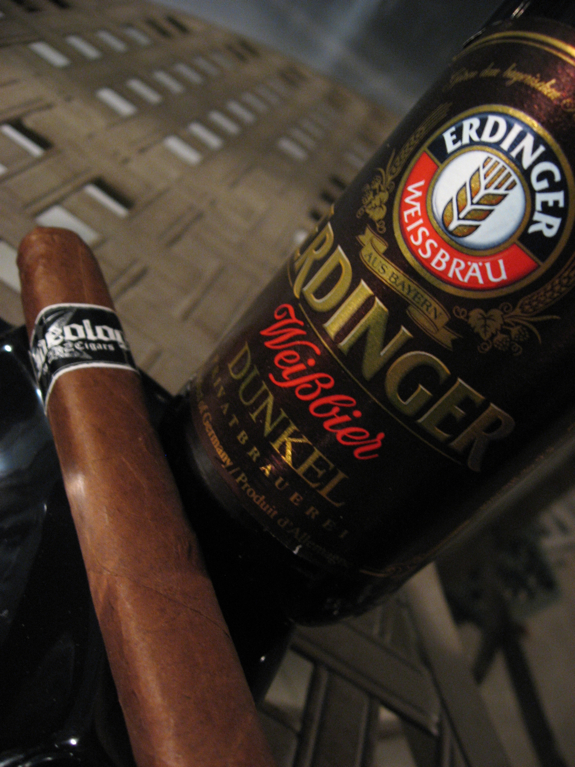 After getting the initial notes of coffee and cocoa on the wrapper I decided to pair this cigar with a nice dark beer. My choice was Erdinger’s Dunkel, a dark wheat beer that goes through a strict fermentation process. It has distinct notes of coffee and dark malts and goes down smooth with minimal hoppiness or bitterness. This ended up being a very nice pairing for this cigar with the flavors from each complimenting each other. Similarly smooth and flavorful dark beers would also pair well here. A nice cup of coffee or dark soda would also make an excellent pairing. 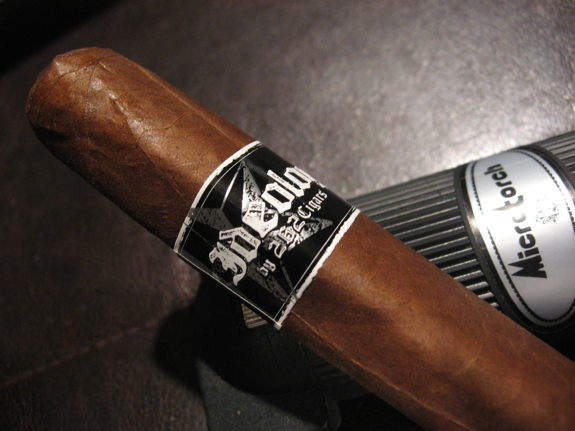 Thanks for the review Daniel; I really enjoy these, one of my favorite cigars of 2010. 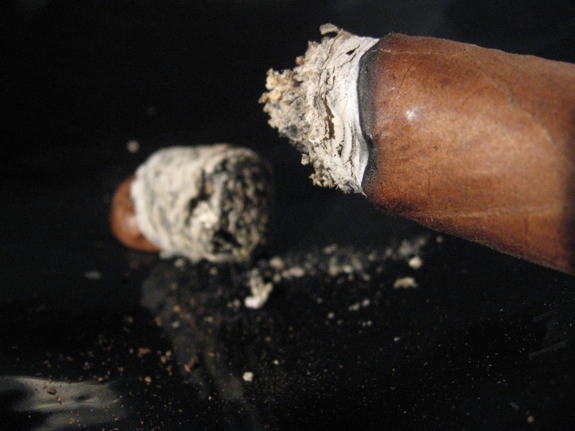 Thanks Matthew, it was a nice smooth smoke. Didn’t have a chance to review it for our 2010 list though. What stands out to you about this one in particular? Nice review and that last picture is AWESOME! It looks like you’ve set the beer and smoke on their side looking up at a building with a gray sky above. Nice job! Daniel I just got this cigar and I’m looking forward to smoking it. Great review and the pictures are awesome. You guys keep up the great job.